Amazon.com description: Product Description: This book has a clear message for classroom teachers: student learning improves when teachers introduce their students to strategies for learning as well as teaching them specific language skills. In practice, however, many of the students themselves are more teacher-centered, finding it easier and preferable to depend on their teachers rather than to take on greater responsibility for their own learning, especially if their educational and cultural backgrounds have not prepared them for this new role. 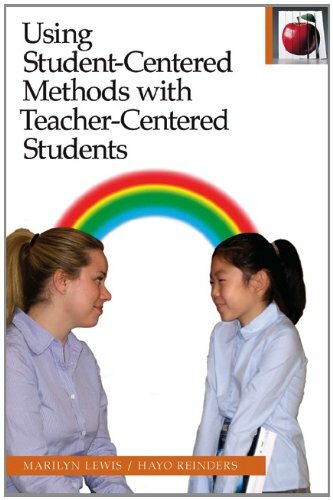 Using Student-Centered Methods with Teacher-Centered Students is packed with suggestions for bringing about a successful match between teachers' preferred ways of teaching and learners' preferred ways of learning, while gradually encouraging increased learner autonomy. The original edition of this book has been widely used by English language teachers worldwide. This new edition offers many fresh ideas, particularly in the area of technology in language learning and teaching.